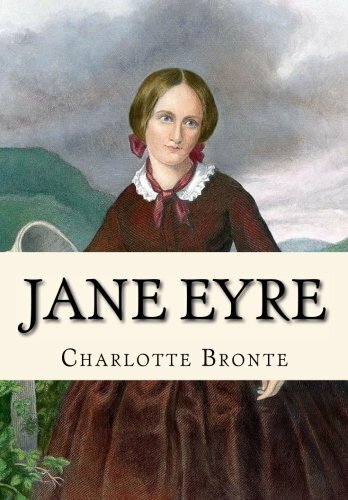 Jane Eyre is often framed as a “beauty and the beast” narrative, but her romance with the unbecoming Mr Rochester occupies only half or more of the novel; in actuality, the story is about Jane and the choices she must make in defiance of those who would control her, as well as her reactions to the twists of providence that leave her with little choice at all. 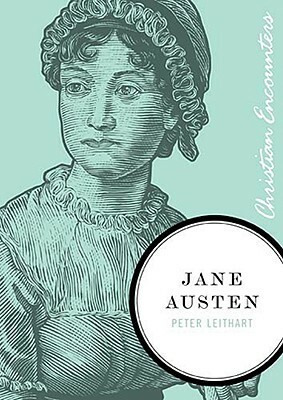 The Christian reading that I extract from the novel is that Jane only achieves happiness by acting in accordance with both the law of God and the Spirit of God – by walking in both obedience and love. Jane loves Mr. Rochester desperately, but chooses not to marry him because such an adulterous action would be disobeying God’s law. She also refuses to marry St. John Rivers, even though he offers her lawful matrimony, because it would not be a covenant formed in love, and she believes God made marriage to be both lawful and loving; because neither Rochester nor Rivers offer her both, she must live a chaste and solitary life so as to be faithful to God’s will. Here is where modern romances part ways with Jane Eyre; being in love, Bronte says, can be a kind of madness that affects one’s ability to think rationally and we should not allow it to become our slavemaster. Modern popular doctrine of the Eat, Pray, Love variety urges exactly the opposite: just follow your heart (consider, in contrast, Jeremiah 17:9 and how it applies to Jane Eyre). Certainly, “I need to follow my heart” is the refusal Jane gives Rivers (in much more eloquent wording) in answer to his proposal of marriage, but of course her heart is bound to God first and foremost and tempered by his law, and so even though her heart calls her after Rochester, she does not follow it but instead chooses to watch that dream float away. Her faithfulness to God is rewarded later in life when she is able to legally marry Rochester. Contrary to film adaptations and academic readings of the book that stupidly, in the case of the former, turn a blind eye, and in the latter, subordinate it to a feminist narrative, Jane Eyre is about Jane’s working out of her faith. It is categorically a Christian novel, a story dealing with sin, salvation, redemption, the ten commandments, mercy, grace, the afterlife – the whole nine yards, much more than can be covered in one blog post. Surely we can start stocking it on the shelves of Christian bookstores now. * Also it doesn’t help that the film industry completely erases most traces of Christianity in most film adaptations of classic literature. The Tenant of Wildfell Hall is an excellent (read: terrible) example of this. Like Lee Strobel after him, Cooper also tackles with lawyer-like tenacity the authority and reliability of the gospel writers and their claims. The book is written partly in response to a controversial work entitled Das Leben Jesu, kritisch bearbeitet (1835) (The Life of Jesus, Critically Examined) by German scholar David Friedrich Strauss, who denied Christ’s divinity by maintaining that his resurrection and miracles were merely mythical narratives created by the church, although he did probably exist. The translation of the text into English by Marian Evans (who went by the pen name “George Eliot” when writing novels) invoked contention in England as the original did in Germany. Unfortunately, Evans, one of the finest Victorian novelists, lost her Christian faith by studying Strauss and other German philosophers. Thomas Cooper was born in Leicester and eventually became a journalist and poet with Chartist sympathies, for which he was jailed for two years. In 1855, he converted to Christianity and became a Baptist preacher. For thirty years Cooper lectured as a Christian apologist, defending the faith against Darwinian ideas. These lectures form the basis of The Bridge of History Over the Gulf of Time. 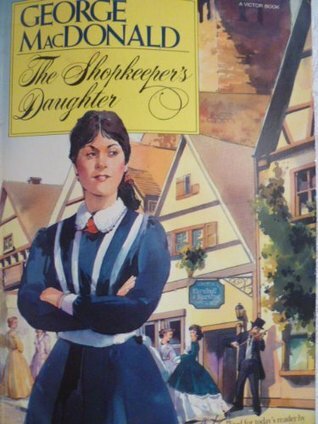 The Shopkeeper’s Daughter is another abridged work by George MacDonald, edited and republished by Elizabeth Guignard Hamilton. Like in The Fisherman’s Lady, MacDonald presents the reader with the ideal Christian, only this time in the form of a lady, Mary Marston. Most of the other characters in The Shopkeeper’s Daughter hardly know how to understand or categorize Mary, a Christian woman devoted wholly to the will and work of the Lord, who submits cheerfully to the tasks of her low station as shopkeeper and lady’s maid and yet disregards the importance and value of class. Her willingness to accept work without pay and to lend aid to anyone she can is viewed with suspicion by those who do not care about or believe in God. Most – excepting Jasper Joseph, another individual seeking humbly to follow Christ’s footsteps, who recognizes Mary’s Christly virtue immediately – assume her to have selfish motives, because they themselves cannot conceive of any other kind of life. True, Mary’s character is not the most developed and her saintliness is perhaps too perfect, apart from a weak struggle with temper she overcomes early in the novel. 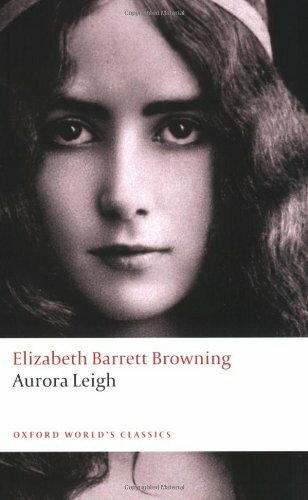 The Shopkeeper’s Daughter does not achieve the depth and interest of The Fisherman’s Lady, but it offers a light, interesting read nonetheless. It is mostly worth reading for the sake of, firstly, tracing the origins of C. S. Lewis’ thoughts, and, secondly, for encountering beautiful expressions of truth such as follow below.